It`s not every day that you get the opportunity to buy a car. In fact, when the time does come, every 2 -3 years for us, it is very exciting but can also be very stressful at the same time. They say that in life the biggest stressors happen when changing jobs, getting a divorce or losing a love one after death. 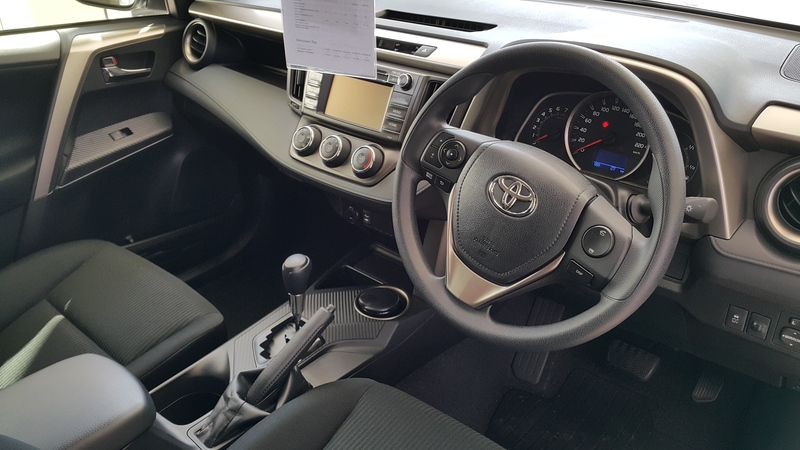 I think I can easily say that the past 3 weeks for my partner and I was amongst the busiest and most challenging time we have had trying to choose a car, after our Toyota Tazz finally needed to be upgraded. As always we service at Toyota Halfways in Midrand with Judge Phuduhudu, but this time the bill came back with an amount just over R 15 000 in potential repairs. Being a 2004 model, 130 5 speed manual, we are keeping it in the family, but now my partner finally needed to upgrade. This is something that she has not wanted to do, since first buying the Tazz. It has been utterly reliable, cheap to run and relatively safe considering it has no airbags or ABS to mention. We decided that the next car we would buy, would have to stay in the family again for another 10 years, and so began our search. 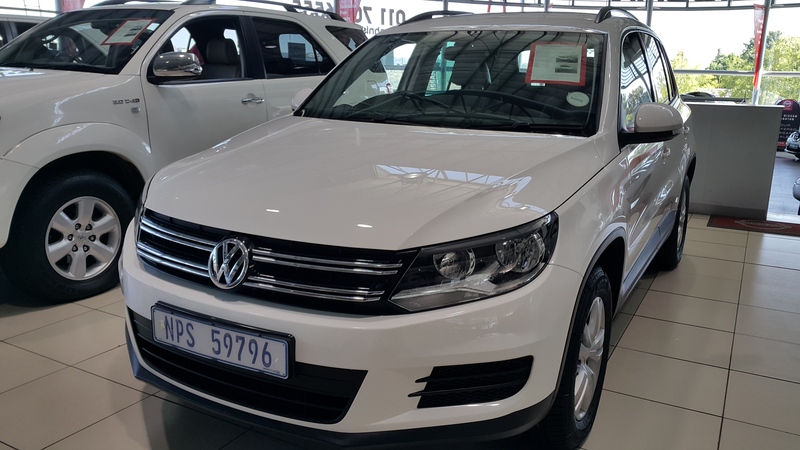 I had just reviewed the VW Tiguan a month ago, and with that in mind it was the first car that I wanted to look at for my partner. 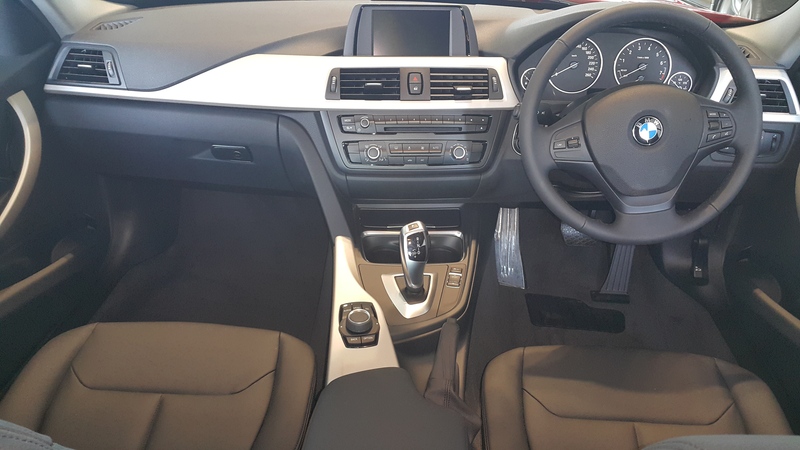 She works in the public sector as a Doctor and needed something reliable, not too popular with Monsieur Light fingers and also comfortable to drive & safe (Euro NCAP 5), and all for under R 350 000. We literally searched night and day to find a VW Tiguan demo that was an Automatic and Diesel. Lately I have managed to get my own diesel car down to 3.9 l / 100 km and with all the fuel price increases coming I am sure you would also agree that consumption is going to become a major consideration for any family choosing a new car! We are also thinking about long term planning, and in the next 5 years this will include 2 new Wheatley`s to add to our family at least. So we needed space, practicality but also reliability and safety. We didn’t manage in over 2 – 3 weeks to find a VW that she liked and could actually get hold of to drive. A big factor for public service Doctors, is having very little personal time. We didn’t have any time to run around dealerships on a Saturday like normal folk would do, because she was on call for 2-3 weeks in a row on Sat/Sun calls. With this in mind we contacted 3 dealerships to arrange test drives, but only managed to get one car home to test drive at night. The first one we tested was a VW Tiguan 1.4 TSI Auto 2013 model from Investment Cars in Bryanston. If you have read all my blogs, you will know that they gave us excellent service on 2 occasions when testing the Audi A1 against the Opel Adam in Jan 2015. So we contacted Mike and his team at Bryanston and took it for a drive. The car needed to have some recon done, and as such was not available for a test overnight. I did drive it again, around Bryanston and loved the space and handling as before. The 1.4 TSI had a read out of 6.9 l /100kms, and had enough space in the boot to fit at least 2 adult size suitcases and a nappy bag and pram. With our future family in mind it seemed like a great option. If I had managed to take this car home, we would have probably bought it, but the timing and price over 309 k was just off. The car needed some recon work, and we were not allowed to take the car home to drive, this was the only bug in the experience there. 2 Days after the VW test – we said why not Merc? For the first time in about 8 years, I drove the Mercedes C Class to benchmark what luxury is available, which includes massive safety features and a strong build. 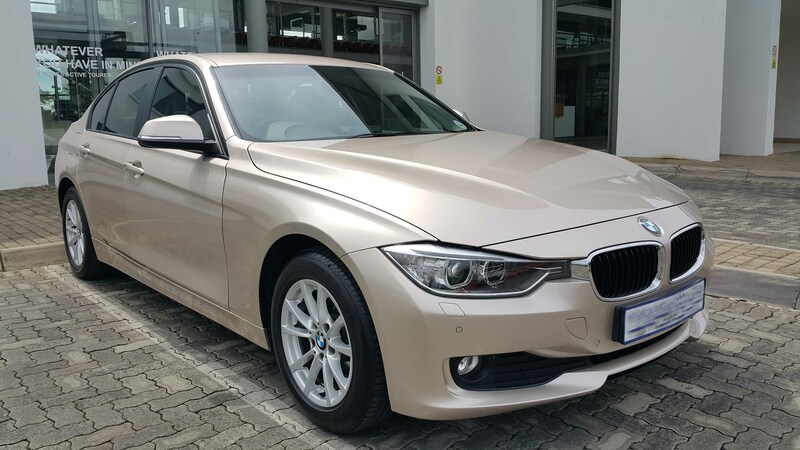 I initially didn’t go straight to BMW, because we currently have a 320 D F 30, which works just fine. My partner wanted to look at the Mercedes to test what it is like compared to the BMW. The drive was magnificent. The power delivery was a little slower to react than any BMW or Audi, but it certainly felt like I was cocooned in a luxury army tank. It felt very powerful and had presence on the road. The drive is smooth and quiet and the interior of the Merc is truly the class leader in this segment when it comes to utterly great finish and trim. The new Mercedes was slightly out of budget, as we would not go for anything over R 300 000 in total including delivery. With the test drive done, I watched nearly 2 hours of videos on Youtube to properly analyse the the Audi A 4 vs the BMW 320 vs the Mercedes C Class. This test has often been done overseas and locally through many publications, with us also looking at potential future values and current buying trends in South Africa as part of our full scale luxury car check. Again at this dealer, I dealt with Clive – who is a great older Gent, who truly understands the motor trade and customer service. Ask for Clive Hendrikz – if you happen to be at this specific dealer. We have built a great relationship with them, over the past 2 test reviews we have done with them. Luckily this dealer is right in my neighbourhood, next to Killarney Engen. We managed to test drive this car after work during the week. It is the all new Toyota Rav 4 2.0 litre Petrol Auto. It felt really solid, had amazing space and also came with a Euro NCAP rating of 5 which is great. The only issue we had with the drive was the speed. This time it wasn’t me driving, but rather my partner. She didn’t like the 2.0 Litre lack of power, and we both felt that a 2.0 diesel version of this car would have been more ideal. Unfortunately, you don’t get one. You get this or a 2.5 Auto petrol model again, which is a little more punchy, but still not good enough for us on longer trips. I always use taking over trucks as an example of times when you need more power, and on our trip to Mpumalanga this happens atleast 2 – 3 times on the N4 highway. We don’t advocate speed, but when you are pulling a trailer and have 2 crying kids on your way to the Kruger, you need something that makes everyone happy. So great space, great standard features, just a very sloppy 2.0 litre engine – even nearly within budget for under R 300 k on a demo, was still not good enough. The great part about dealing with Killarney Toyota was the professionalism displayed by Ricus du Plessis – this young man has a degree in Business – Agri Sector from University of Pretoria, Ricus truly understands customer service. At some point I will be heading back to Toyota to purchase a car (business purposes) and at that point, I know exactly where I will go. Ricus is new to this dealership, and I am sure he will go far in the auto industry, far beyond sales. 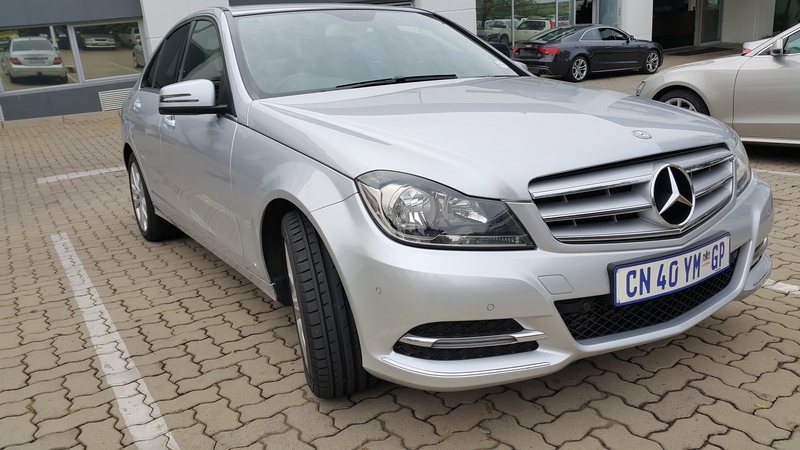 Once again, we looked at the Mercedes C 250 used model with 45 000 kms 2013. This time the car was at another dealer not linked to the Mercedes brand. We did a test drive on the car, and it was utterly serene. Mercedes have a way of putting people at ease and making them feel safe, and that’s only when you jump into the car. It had a better engine than the 200 model, and I felt the car still need more power, compared to similar BMW models. Even the 320 I F 30 feels a lot more nimble. The difference for me here, is that this car was ultimately not for me. Knowing that my partner drives home 40 kms plus, very tired after 36 hours of Doctoring work, was the main consideration for me, when we did ultimately choose the car. I wasn’t able to take either Mercedes home, and as such we didn’t choose this car. What my partner was most unhappy about was the foot brake. 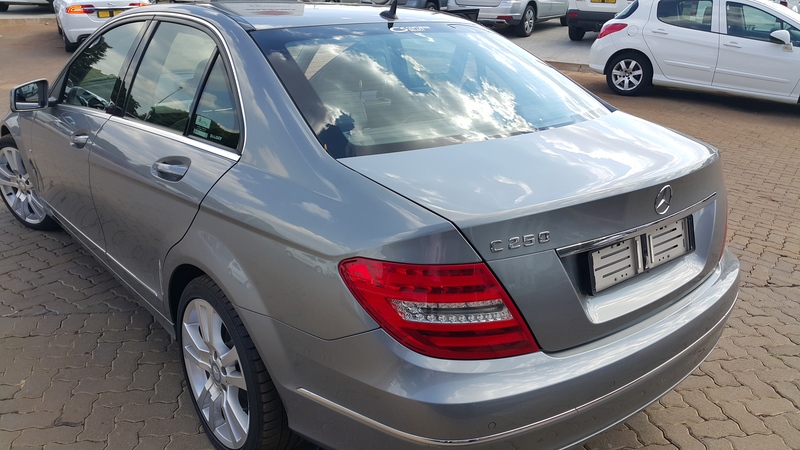 She may very well have bought this exact car based on its great price – R 299 k all in. It was in budget, drove very well (quiet comfort) and also had the balance of its 7 year plan. I was referred to Johnny by a very passionate Audi Fan and close friend Anna Adams. Anna works as an IT Professional and has been in the banking industry for a few years, specifically consulting on security. So naturally she drives a very nice Audi A4, which she now wants to swop for a TT. We test drove the Audi Q 3 on the same day as the Audi TT and what an experience that was! 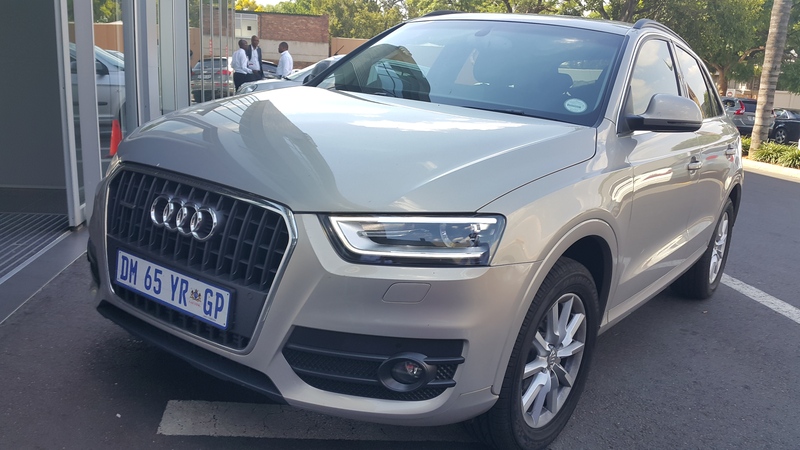 For the first time, I was completely blown away both by the Audi Q3`s soft and gentle ride, but also by the amount of the power the 2.0 engine actually has. I know that working lately with more VW cars, that they share similar platforms, so I can fully understand how committed Audi is to the performance of their cars, and the overall fuel consumption. In this instance, my partner had asked me to Test the Q3 strictly because she was told by a friend that is a great car, especially for a small family like ours. The drive was sublime! I loved every minute in the posh interior. In some instances Audi even beats Mercedes and BMW with regards to interior layout and materials appointment. They truly have a good idea about what makes an interior so important. I likes the design of the car, and it drove really well. It was quiet over bumps, the dash, interior lights and general feeling inside the car was truly sublime. Unfortunately Johnny didn’t have any older Q3 models. I would have chosen this over the Tiguan, and not because I don’t like the Tiguan, but just because the trim levels and finish are a lot more of what we were ultimately looking for. Besides that, Johnny Maartens is the best Audi salesperson I have met in my history since 2008 dealing with cars. You get an instance sense of urgency with him, but at the same time, he keeps calm discussing all the benefits of the car plus why he loves Audi so much. When I say Love, I mean it. The Audi TT test, will be written up in a separate review. So strictly again based on price, we moved on the final choice – the BMW 316 I Auto. If we had to consider any Audi again, I would gladly take the drive out to Hatfield – as I think this dealership truly knows what customer experience and service is about. The dealership is very impressive – you must check it out! After nearly two weeks spent trying to find a Diesel Tiguan, driving the Mercedes C class at two different dealerships, our patience and nerves were wearing thin. That’s when I got a call from Shaiba Ebrahim, a sales associate from Northcliff Auto BMW. She has been with the BMW group since I was there in 2008, if not longer. She just called to let me know she had moved dealers and would like me to pop in incase we needed anything. Up until this point, we had not considered the 3 series as our first choice, as we were looking initially for something a bit bigger. Not quite 4 x4 SUV, just something with more space to add more people to the family at a later point. As soon as my partner finally had a day off on the weekend – we popped in with an appointment on a Saturday morning. If you are buying a car, this is probably the best time to make a decision, after doing a test drive, having some coffee, you can get on with signing the documents. I initially was able to take home a 316i – in a brownish metallic colour. We didn’t like that car, but because my partner was able to test drive it and this was at home in the evening, we decided to just stick with BMW. Shaiba had arranged for me to take home a loan car for the night, we drove to dinner in it, and discussed it further after getting home. We popped in on the Saturday morning thereafter, and just another colour – Orion Silver, which is very light Champagne colour, with Xenon lights, PDF front and rear, sat nav and only 24 000 kms on it as a demo. 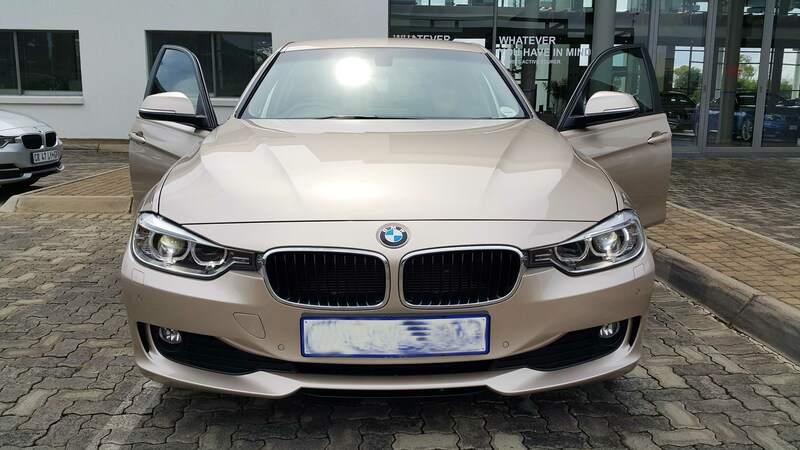 If you have driven the 3 series, and you wonder why you see so many on the roads, especially here in Johannesburg – I will share the insider secret with you. This demo would only cost R 300 000, drives very dynamically. Has many extras and a Euro NCAP 5 rating. Added to the allure is the BMW badge. That badge carries just as much weight in a Township, as it does parked in Sandton City. To my partner she doesn’t care much about the drive, just about motorplan, airbags and isofix seats for future use. We have had the car for 3 weeks now and love it. 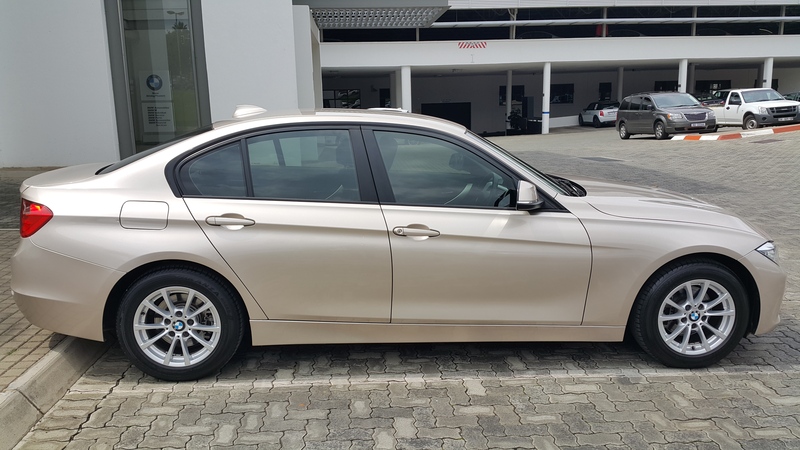 The overall consumption I get is close to 6.5 l/100 kms with careful driving, I just need to adjust my right foot somewhat compared to our 320 D. Overall BMW is BMW, and they sell many cars in SA. We bought it not for the status, but because I have had 2 in a row, they have never not started or broken down and there are 3 other family members who also have their 3rd or 4th BMW 3 series models. This car is packaged well as a demo – my partner can save all the Hospitals and Clinics in the area on the SATNAV. We have installed a Tracker Skytraxx in case she comes home late from a far away hospital, I have a map on my phone sharing her location from Tracker, so I know she is safe. We love the 3 series – and the fact that BMW was the only dealer willing to give us a car to take home to test. When you are dealing with medical staff as sales people or as a dealer, please make the extra effort and take the car out to the customer. The old days are gone. You can no longer rely on your brand clout to simply wait for customers to walk into your door. Northcliff Auto have a great coffee machine, lots of space to see their cars, and are just off Beyers Naude, on Judges Avenue, adjacent to the Cresta Mall. Their service on my car – 3 times in a row have been spot on! Ask for Joan –if you have a BMW that needs servicing. All in all, this takes a lot of work, and you need to deal with the right people, even if the brand already has a lot of clout. Dealing with Joan, Myra, Shaiba and even their driver – has been great! Shaiba and I have a good relationship, over 3 cars now. She can be trusted, is efficient and is one of the most gentle ladies I have ever worked with before. She has integrity and is everything the AVIS ladies are- including a warm gentle personality. The car you buy, depends a lot on the overall experience. Begging for cars from dealers, especially when you are ready to buy, Is not an option any longer. The easier and quicker you can make the entire buying experience, the better off you will be. Choose the right supplier and your life can be so much better! Quick word of thanks to all the dealers, for providing quotes and test drives. It was great to see such awesome service, from all over you! This entry was posted in Uncategorized. Tagged Anna Adams, Audi Hatfield, Audi Q3 2.0 TDI Quattro, Audi SA, BMW 316i, BMW SA, Great Customer Service South AFrica, Hatfield Audi Service, Investment Cars Bryanston, Johnny Maartens, Killarney Toyota, Mercedes Benz SA, Mercedes C Class vs BMW 3 Series SA TEST, Mercedes-Benz Bryanston, Northcliff Auto, Ricus Du Plessis, Toyota Killarney, Toyota South Africa, Tracker, Tracker SA, Tracker Skytrax, Unitrans Motors, VW, VW Lindsay Saker, VW R400, VW South Africa, VW Tiguan, VW up.